Will there be enough picture books and picture book biographies published to purchase? Will these titles be easily available through my two vendors, Ingram and Follett? How will I find new inclusive, quality titles to purchase? Will I, a white librarian, do this experiment justice? The only way I was going to find the answers to these questions was to try it. The first thing I did was to do an informal analysis of my purchases from the last two years. 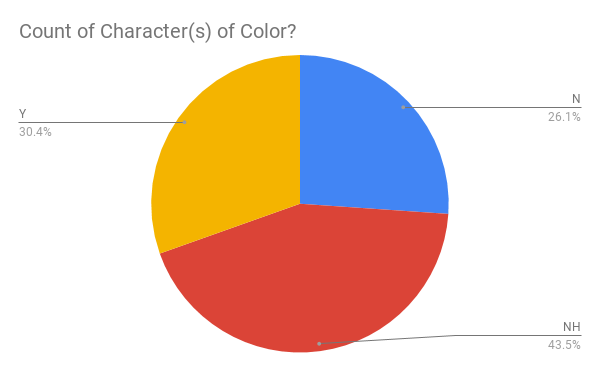 I created a report in my library catalog system that told me which picture books and picture book biographies I purchased in a given fiscal year and then I looked at each title and tallied them as either Y (features characters of color), N (does not feature characters of color), or NH (nonhuman characters). The results of my analysis can be found in the pie charts below. This is my 3rd year in my district. 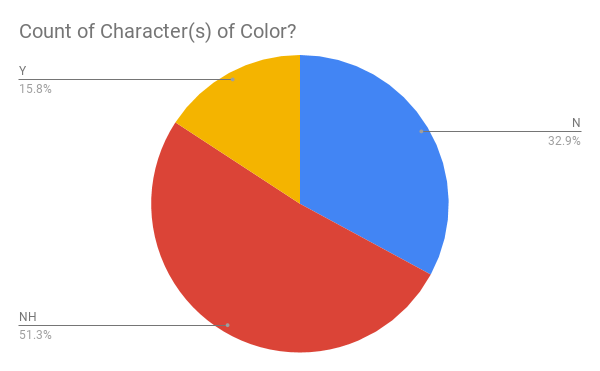 I was not surprised to find that, even as recently as a few years ago, only 15% of the picture books/picture book biographies purchased featured characters of color. Increase the number of books with characters of color to at least 50% of the total picture books/picture book biographies purchased. 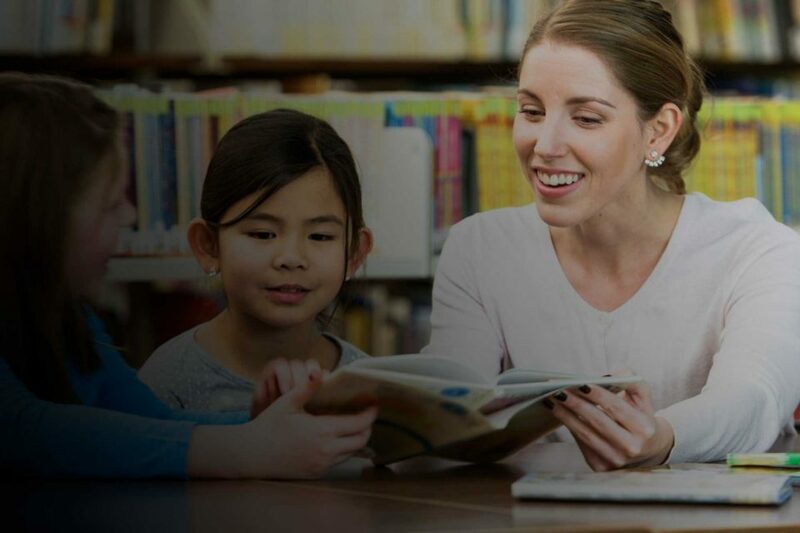 Identify pathways for efficiently identifying titles to purchase including resources such as The Diverse BookFinder database and We Need Diverse Books website. So there it is! That’s the plan for my experiment and I am looking forward to see how this year plays out. Stay tuned as I will write updates about my progress in the winter and the spring.